Some may not remember, but Electronic Arts once gave away free games through its On The House programme. 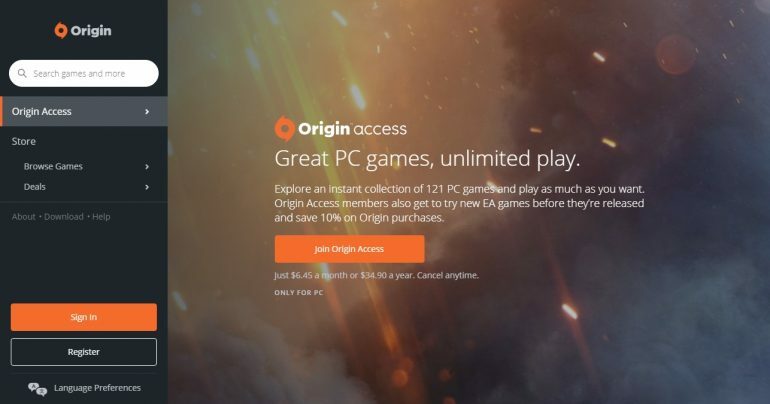 Run through the EA Origins service, it would give users a chance to pick up much older games that probably wouldn’t be selling too well anyway. Now, it seems that the programme has been quietly killed off. Origins On The House used to give away some rather interesting games like Peggle, Descent, Theme Hospital, and Plants vs Zombies. Essentially anything once published by EA. The cycle was quiet for a while, and fans of the programme began to notice something odd when the tab disappeared from the Origin launcher. 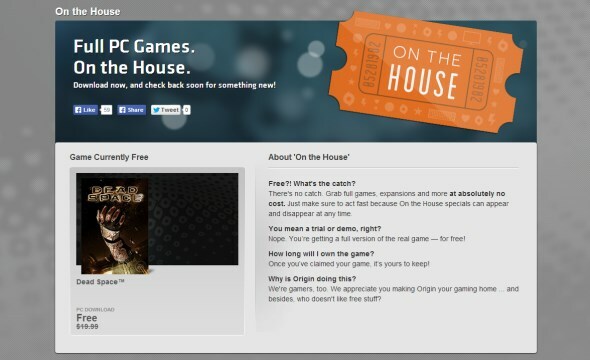 Reddit user BigWhomas contacted EA’s support channel to ask about the status of On The House, and was told that it had been discontinued. At the moment, any attempts to locate the On The House programme redirects to the Origins Access page. Which makes sense as EA is trying to steer people towards its subscription service; which technically does the same thing. If anything, the On The House programme means that people were less likely to pay for Origins Access.